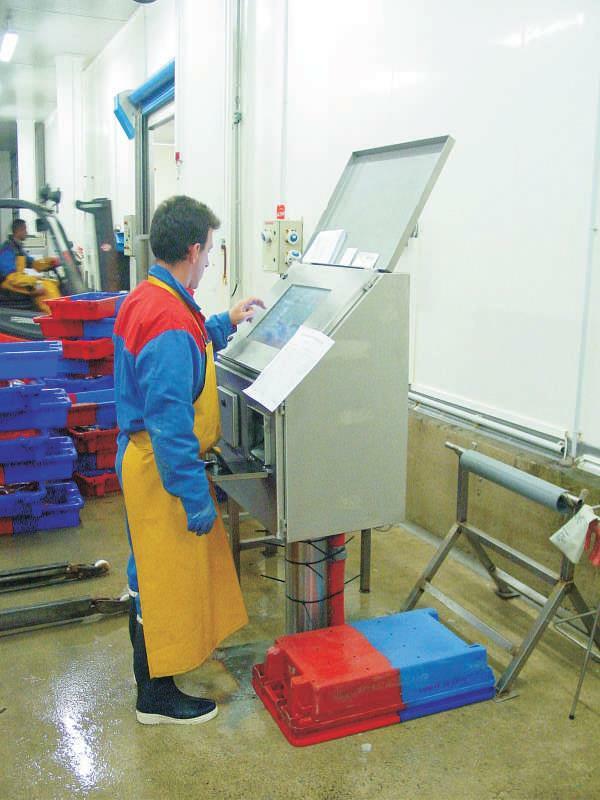 The Aucxis weighing and data input terminals have proven their reliability and efficiency in many fish auction markets worldwide. 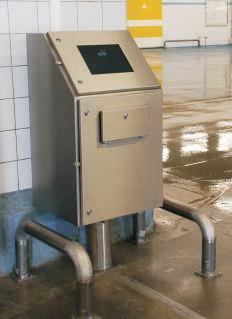 Today these terminals are also applied to support the business processes at fish processing companies. Aucxis’ product range of data input terminals has steadily grown over the years. 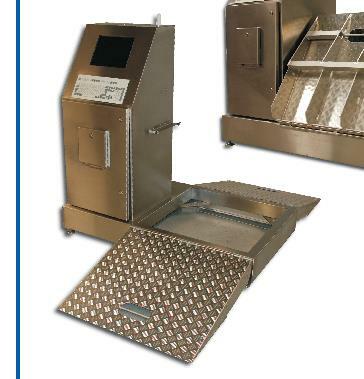 Today we offer various models: fixed, mobile or combined with a weighing platform, all tailored to meet the specific requirements of our customers. The terminals’ durable and waterproof frame is made up of rustproof steel and aluminium, making them perfectly fit to operate in the most aggressive environments. 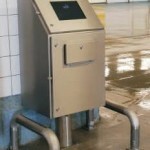 The electronic equipment, such as keyboard, PC and ticket printer, is composed of industrial, durable components. For instance, the built-in compact industrial PC has no components that are liable to wear, such as ventilator or hard disk. Aucxis developed a mobile model that is powered by batteries. 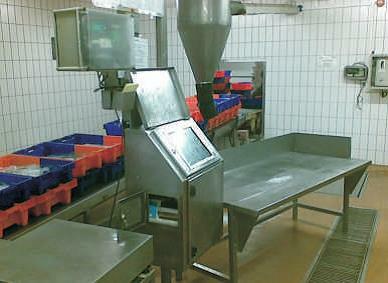 This mobile terminal is put on the floor next to the fish boxes by means of a forklift. The chassis of this model was specifically designed to meet the purpose. This model has a weighing platform extended with two ramps, which allows pulling the fish boxes, even when stapled, on the weighing platform with a hook. During transport of the terminal, the ramps are folded. 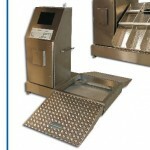 This model is perfect for weighing single fish boxes. The concept of this model is identical to the model with folding ramps, but its construction is more compact. Because of its solid base and castor wheels, it doesn’t need to be moved with a forklift. This model is also suitable to use in combination with pallet trucks with built-in balance, resulting in one less operation during the weighing process, and consequently saving time. 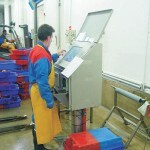 The fish boxes are put on the electronic weighing platform. The supply data are inputted using a touch screen which is incorporated in the front panel and protected by a solid glass top. The input procedure is very user friendly and can even take place when wearing gloves as the keys come in a large format. The inputted data are transmitted through a wireless connection to the central server where they are integrated in the sales catalogue. 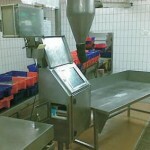 The terminals are adapted to the environmental conditions in a fish processing company and are mobile so they can be used for different production lines. during production, to input the materials used and to create the finished products.